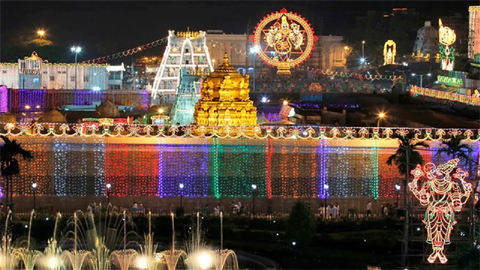 The Darshan tickets advance booking for the Lord Venkateswara temple at Tirupathi in the month of April is scheduled to start from 4th January. The level of crowds of devotees visiting Tirupathi temple to have the Darshan of the favourite Lord Venkateswara has reached such unmanageable proportions with the staff inside the sanctum sanctorum. TTD (Tirumalai Tirupathi Devasthanam Board) has announced that the usual Darshans offered for the senior citizens and the parents of children below 5 years of age are cancelled during the month of December. On the 2 sacred days of Vaikunta Ekadasi and Vaikunta Dwadasi falling on 18th and 19th December, the Tirupathi temple Sorga Vasal will remain open throughout. 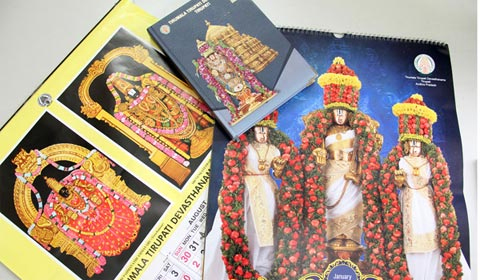 TTD (Tirumala Tirupathi Devasthanam Board) Calendars and Diaries for New Year 2019 are now available for Online Booking. Both registered and Non-registered users can use new service Diaries/Calendars. TTD (Tirumala Tirupati Devasthanams) has announced that the plastic items will be banned for usage from 1st November. With the successive holidays of Ayudha Pooja, Vijayadasami as the concluding part of Navaratri festival, multitudes of crowds throng the Tirupathi temple to have the Darshan of the Lord Venkateswara. On the day of the Garuda Seva in the ongoing Tirupathi Navaratri Brahmotsavam, the deity of the Lord Malayappa Swami was adorned and taken on the carriage of the Golden Garuda. 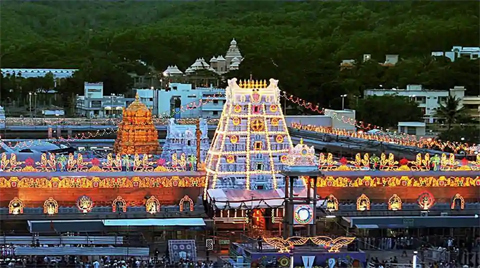 The 2nd Brahmotsavam festival is in progress at Tirupathi temple. The most prominent event of the Brahotsavam, Garuda Seva is set to be performed at 7.00 PM tomorrow. 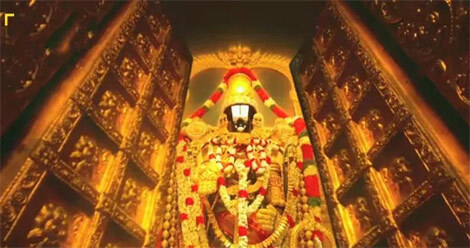 On the 2nd day of the grand Navaratri Brahmotsavam at the Tirupathi temple, the deity of the Lord Malayappa Swamy was adorned specially and taken on a procession on the carriage.